As the original write up on the rumoured retail price of LG’s upcoming Nexus 4 smartphone has caused quite a stir, allow me to realign the ship, especially since the write-up opened up avenues for misinterpretation. But first: an apology. To all readers and commentors who saw my opinion piece as a shameless pro-LG editorial, I offer you my apologies for not making my points clearer. I was not writing on behalf of LG Malaysia, nor am I an LG fanboy. The leaked pricing caused quite a stir here in the original write-up, and I offered my opinion on the matter. However, in my humble opinion, even at a rumoured retail price of RM1799 (although, it appears the seller we quoted in our forums has now confirmed the price in his sales thread) I still find it a good deal, and I shall clarify my points from yesterday’s post after the break. Back when Google’s Nexus 7 tablet was launched, it was later made known that Google was selling the tablet at cost price. Andy Rubin, Senior Vice President of Mobile and Digital Content at Google, stated that “when (the Nexus 7) gets sold through the Play store, there’s no margin,” Rubin said. “It just basically gets (sold) through.” Because Google is not a hardware manufacturing company, it can offset the potential profits it can derive from the sale of the tablet, as Quo Circa analyst Rob Bamforth opined, by allowing more people to “defect to Android and using Google’s Play Store”. Whether Google has the same agreement with LG is not known, nor did I mention that Google were selling the Nexus 4 at cost price. It may be, however, that Google may be subsidizing the price of the Nexus 4 sold on the Play Store. As pointed out from various sources yesterday (CNET included) many countries are also not happy with the retail pricing of the Nexus 4, compared to the price it was going for at the Play Store. This then gives rise to the suggestion that there may be two different prices for the Nexus 4 smartphone, instead of just the one from the Play Store. One reader pointed out that it costs roughly $199 to manufacture an iPhone 5, and thus by conjecture, the $349 price for the Nexus 4 on the Play Store should mean that LG and/or Google are pocketing some form of profit. If, for example, the Nexus strategy is to produce competitive products at low prices, manufacturing partners (in this case, LG) will not have a high enough profit margin for its operations. With the Nexus 7, ASUS and Google left out components like a rear camera to drive the costs down as low as possible. 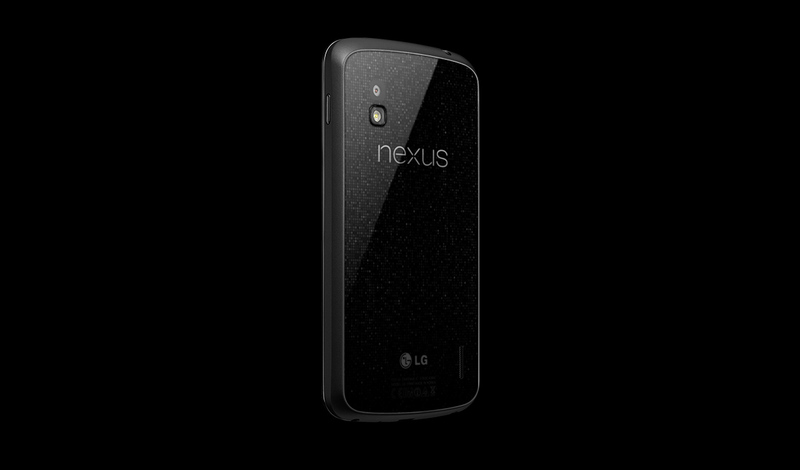 However the Nexus 4 is a flagship device, and one of the most impressively specced in the market at that. LG cannot survive on the low margins (if any – I’m merely speculating here) that each Nexus 4 sold at the Play Store would provide. That’s why it costs $199 to manufacture an iPhone, and yet it retails for $649. 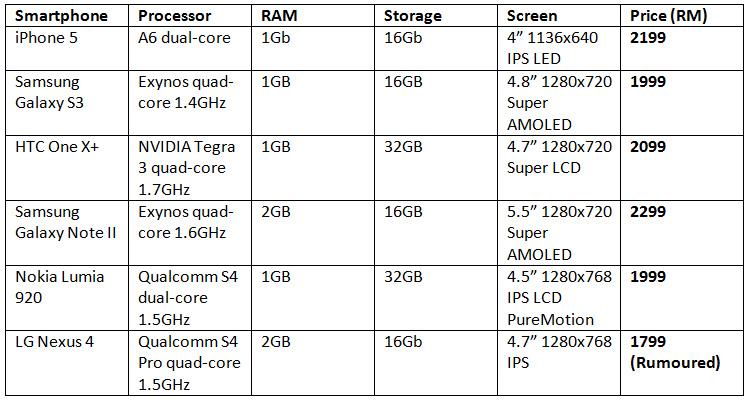 As the table above indicates, at the rumoured price of RM1799 the Nexus 4 is still cheaper than the other popular flagships in Malaysia today. 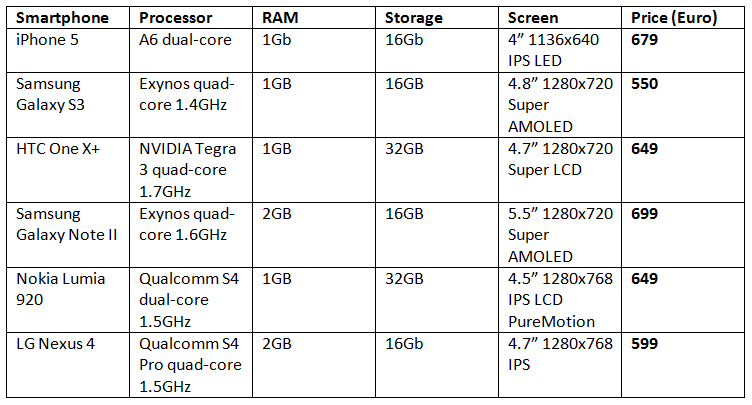 Specs-wise the Nexus 4 is no slouch either. If we dropped the Google moniker, the Nexus 4 suddenly looks to be quite competitively priced. Also, as another reader mentioned, we can also find “street” pricing for smartphones, which usually offer around 10% less than retail prices – that’s where many of us get our smartphones. For instance, one could get a Galaxy Note II for around RM2000. Hence, again by conjecture, we can expect the street price to be lower than the RRP of all phones – which should make the Nexus 4 price in Malaysia more appealing. There was one reason why I brought up the Nexus 4’s fragile glass back, and that was to be unbiased in my view of the Nexus 4. 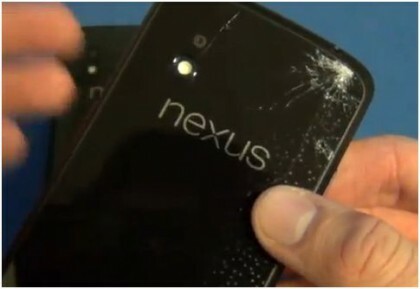 I believed that our readers are aware of the glass cracking issues the Nexus 4 has, and so I mentioned it. Just like our news and reviews, if there is anything that needs to be said, it will be said. On the other hand, I put my hands up with regards to the warranty. While I do mean that LG’s service centre will, in all probability, repair cracked Nexus 4s, I also meant to imply that some service centres do not even accept devices bought from overseas for repairs. I do not, however, know if the cracked glass back is covered in the warranty, which was another implication from my original text. The idea behind the write up yesterday was to see the leaked pricing from a different point of view. While at first sight it does appear to be grossly overpriced, but on the other hand it is also perfectly feasible for LG to price the Nexus 4 at RM1799, in line with its worldwide retail pricing. Unfortunately, some parts of the article had implications that I had not intended, and for that I must apologise to all readers. 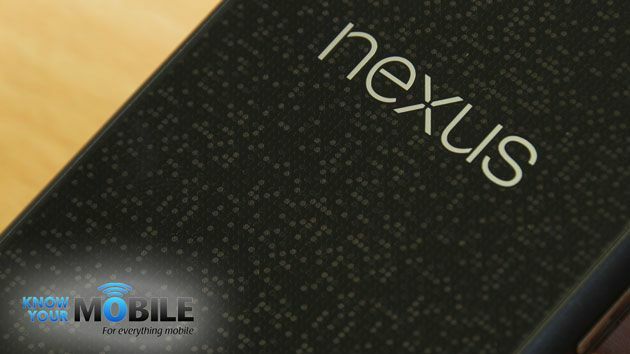 We will, naturally, uncover the confirmed retail pricing on the Nexus 4 as soon as we hear it. And, despite my opinion on the matter, it does look like LG Malaysia have some thinking to do regarding the pricing of the Nexus 4. Win Yourself A Limited Edition BlackBerry Music Mania x Lansi Concert Tee!